Picture this: you are getting ready in the morning to take on your day and head to work. You are showered, dressed, and ready to head out the door. So, you check your pockets to make sure you have everything: you feel for your keys, phone, and wallet. It is a rarity anymore that someone would walk out of their house without their cell phone. Cell phones have evolved from brick size to hand-held size (then back to brick size to accommodate larger high resolution screens) with a great deal of changed technology. At one point, cell phones were only used for phone calls, but are now used for everything in addition to phone calls. We turn to our cell phones, or smart phones, for almost every need we have. Have you ever considered your phone to act as a credit card as well? Mobile payment refers to a payment service operated under financial regulation and performed from a mobile device. Today society runs on a fast pace, convenient lifestyle, so mobile payments are designed for the path society is heading towards. Brand name companies have already installed this mobile payment software on their apps, frequent consumers have made a success. A quick easy payment method serves both the consumer and the producer. The business can provide speedy service to one customer, while the customer uses an easy way of paying their tab. Mobile payment methods have the potential to save time and money, reduce fraud, and improve consumer tracking. This new form of technology may soon become the normal standard when it comes to paying for products. 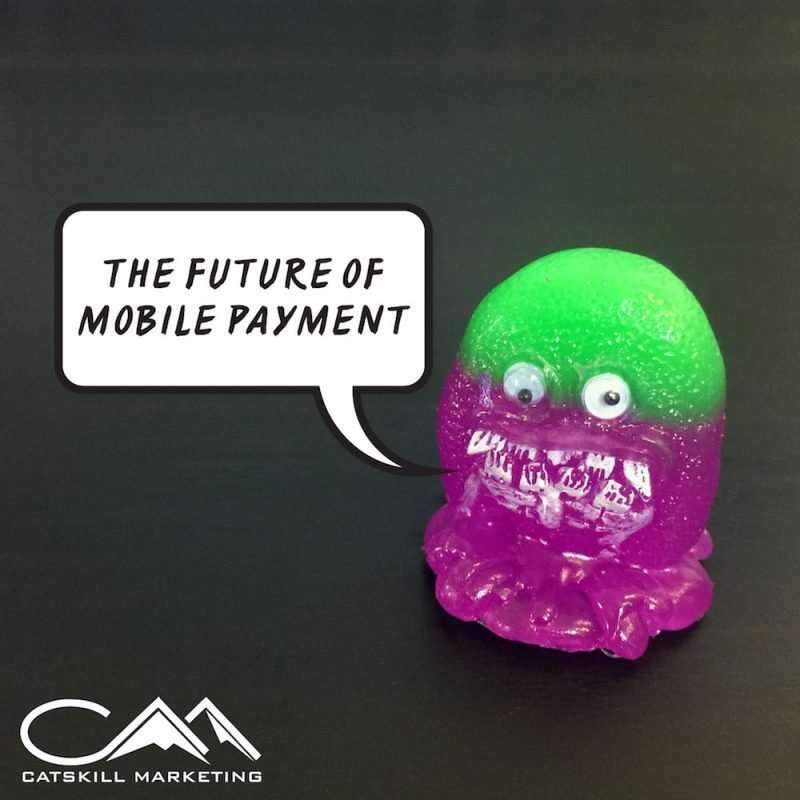 From a marketing standpoint, mobile payments serve great purpose for any organization. Businesses that install a mobile payment option can better track their sales and consumer behaviors. Customers that utilize a mobile payment option are paying attention and adapting to what the company is offering. Currently, some companies provide a reward system only for their customers that pay with mobile payment. So, consumers will be draw into using a mobile payment plan if it means a reward is included with their product. Also, mobile paying allows for better tracking of who is buying what products and what option they are paying with. Now companies can view who’s buy that large strawberry smoothie at one o’clock and know they are paying with your mobile application. Businesses need to be aware of the constant breakthroughs in technology, to better adapt their organization for the changes. Mobile payment options may still be a new software, but they soon could be the new method of paying. This entry was posted in Blog and tagged Applications, Catskill Marketing, marketing, Mobile, Mobile Payment, New York, Paying, Software, Technology.